A Boston court has issued an arrest warrant for the man detained by police Sunday for allegedly trying to copy early code for upcoming shooter Breach, Kotaku has learned. 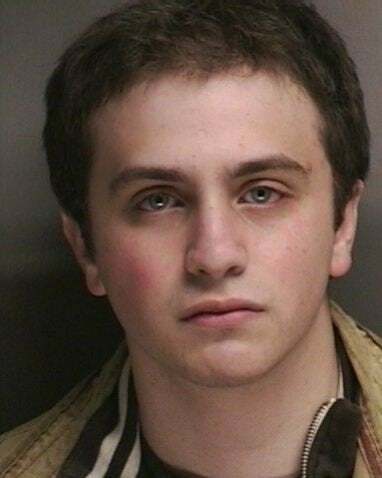 Justin D. May, 20, of Delaware, failed to show for his arraignment this morning and an arrest warrant has been issued, Suffolk County District Attorney press secretary Jake Wark told Kotaku. Shortly before 4 p.m. Sunday, Boston police working at the Hynes Convention Center during the weekend's Penny Arcade Expo were approached by the assistant public safety manager of the center who told them they were detaining May for an attempted theft, according to the police report obtained by Kotaku. After being advised of his rights, May told police that he had downloaded part of a game by Atomic Games and then had tried to run from the scene. An employee of the publisher told police that the game, Breach, was likely worth more than $6 million dollars. But contacted Monday for comment, Atomic Games spokesman David Tractenberg said the exact value of the game is unknown. "We know it's in the millions," he said. Tractenberg told Kotaku that he was in the middle of a video taped interview with Atomic Games president Peter Tamte when he saw May run behind the camera crew with a laptop in hand and two quality assurance testers chasing him. After the interview, Tractenberg went to a security office where he found May sitting in front of an open laptop. May told the employees, police and security present that he had tried to steal the game. Tractenberg said that about 14 MB of the roughly 2 GB game file was on the desktop of the open and powered-up Dell laptop. "He admitted to me several times that he had taken it," Tractenberg said. "He said he was just going to play it, and then he said he was going to play it with his friends." May acted oddly flippant during the interview following his arrest, Tractenberg said, joking several times with police. At one point officers, seemingly concerned about his state of mind, asked him if he knew where he was. After saying he did, and answering PAX, he then asked police if not knowing would "get me out of this." Later, Tractenberg said, May offered to give the arresting officer $100 to "get me out of this." Despite his bizarre behavior, May appears to have had a plan. May had been seeing hanging around Atomic Games booth prior to the attempted theft, Tractenberg said. And he made his move when the person watching the booth's laptop left to use the bathroom. An observant QA tester spotted May standing over the company's equipment with a laptop and a cable running between the two. When the employee confronted May, Tractenberg said, May asked to turn off his laptop and then instead unplugged the cord and ran for it. Two employees gave chase, with one slipping around to cut May off before he could make it to the escalator. When confronted, May gave up without a struggle. Kotaku witnessed part of May's bizarre theft attempt first-hand. A little after 3 p.m., one of our reporters saw a man, later identified as May, darting through the crowd in the area of the convention center directly outside of Atomic's booth. Another man, likely one of Atomic's employees, briefly gave chase but didn't say a word and stopped a few feet outside Atomic's booth. In the future, Tractenberg said, the company is going to make sure they always have someone watching their equipment. Suffolk County DA's Wark said that May posted a $200 cash bail at the Boston Police station following his arrest and was ordered to appear for arraignment in the Boston Municipal Court this morning. Anyone with information on his whereabouts can call the Boston Police CrimeStoppers tip line at 1-800-494-TIPS.